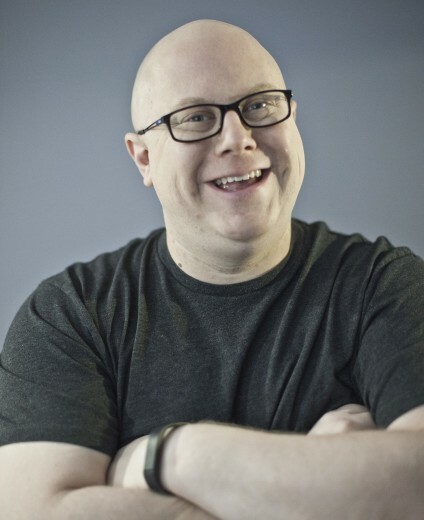 Tracking Your Website Traffic | Ben Miller: Speaker, Coach, Pizza Enthusiast. One week ago I launched this website. I had been working on it for months, but I let the world know last Tuesday. 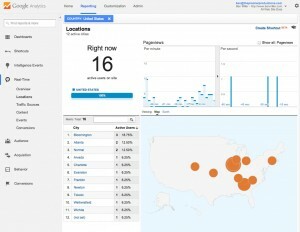 Any time I launch a website, I’m glued to my computer the entire day watching the Google Analytics in real time. That means if you’re the only person I know in San Antonio, then I’m pretty sure that it’s you looking at my site. On a personal level, it’s so humbling that my friends and family from all over the country checked out my site and saw what I had to offer. At one point (that I caught) I had 16 different people on this site. Which, for day one, is pretty cool. 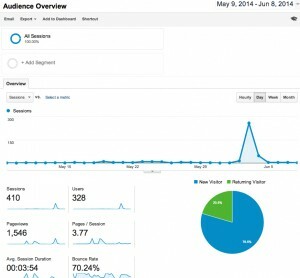 Second, Google Analytics gives amazing information. It tells me exactly what pages are being viewed, how long, and from what platform (Mobile, Tablet, Computer, etc). There was a time during that day that NO ONE was viewing my site from a computer. This should terrify you if you haven’t built your website to run well on mobile phones or tablets. (It’s a kick in the pants to me, because I think my site is prettier on a real computer… so I have to do some work to make it nice for mobiles). You can see the day I launched my site. But then I had a very busy week and weekend. It wasn’t until today that I was able to stir up traffic again. So, remember, websites are only good if you have traffic coming to them. As Gary Vaynerchuck says “we’re in the content business”. If you’re not producing good content, you’ll have a spike like the one on the left and never have one again. Its easy to become a slave to watching Google Analytics. It’s better to spend your time creating new content so that you’ll have something to watch. However, if you haven’t added it to your site, and If you’d like help with integrating Google Analytics into your company website, drop me a line.